One of the most important decor details in my home are scented candles. It's one that even surpasses my must-have fresh flowers in the home rule, and fresh flowers rank high on my list. 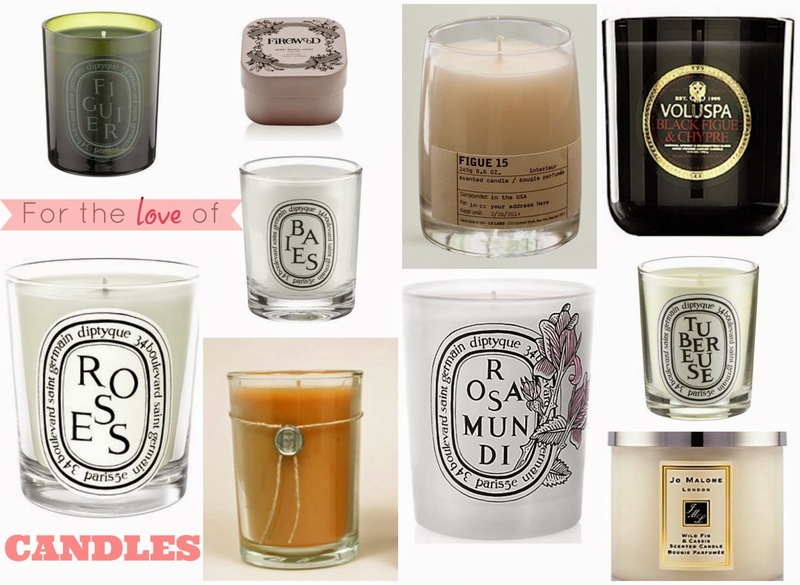 My love for candles is beyond just having a plain obsession - it's the elixir of life for me. Anyone that knows me really well, would tell you that in my home there isn't a day that you wouldn't find some kind of scented candles lit in every room. This week, despite my usual busy Monday routine (what I like to call 'mundane Mondays'), I found myself running to Bloomies for one of my absolute favorite candle brands that I ran out of - Dyptique. A client turned me on to Dyptique a couple of years ago, and I just can't get enough of them now. Not only are the scents uniquely amazing, they last forever and burn super clean without it being overpowering. But can I tell you, as excited as I was picking up one of their newest fragrances Rosamundi, I got nostalgic thinking about my once a month visit to the Diptyque store in Manhattan on Madison avenue. Browsing the store and chatting with the sales associates was a ritual that added to the whole personalized experience of purchasing the right candle, and I truly miss that. Anyhow, I thought it would be fun to curate all of my ultimate favorite scents into one place so I can just quickly order them as my supplies get low. They're high quality candles, though a bit pricey. But seriously, with all the pressures that we face in this life, I strongly believe scented candles are one of life's simple luxuries that is worth the price due to the transformation they give you after a tense day out in the world to a happy serene atmosphere at home. So, for lack of better words, pop the lock off the wallet and turn your day from ordinary to extraordinary with just one switch of a lighter. Trust me on that one! * Rachel Ashwell's Fig scented candle is another amazing one that I go to the store for all the time.